These two sisters have inspired our team since they opened their doors in 2013.. and their constant growth and determination to be THE destination Blowout Bar in the city is admirable. We couldn’t wait to learn a bit more about these ladies.. to share with all of you. 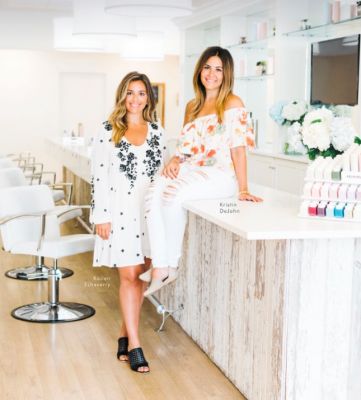 Q: You are a team of two sisters who discovered a love for blowouts while on a trip to NYC in 2009, and decided to bring the concept back to Columbus! Has hair and beauty always been a passion for both of you? A. We became addicted to the experience the second we had our first blowout on that trip. We love Columbus and have always had a passion for new, big-city concepts making their way to our city. 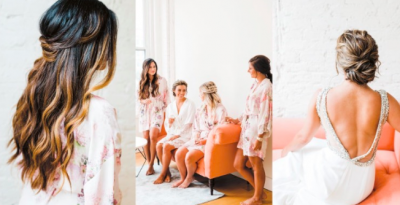 We’ve always loved the beauty industry, but it was definitely about filling a void and helping women feel confident. We bottled up that excitement we feel when we travel and find new, exciting concepts and transferred that into our own vision here. Q: What made you decide to go into business with family? A: We’ve always wanted to do something together; we were waiting for the right thing. We come from a family who has always been in business together, so working together comes very natural to us. We trust each other completely and you can’t have a better business partner than that! Q. 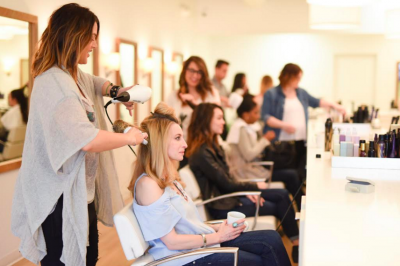 You have seen a lot of success in such a short amount of time between your two Blowout Bar locations and your new business, The Bride Bar. How do you keep it real and stay grounded? A. Every day is different when you own a business! Some days present new challenges and others come with lots to celebrate. When we have our ups, we love to share our successes with our team, family and close friends. We stay grounded by looking at our opportunities and starting to work on a new idea or project. When we have our downs, we try to remember to laugh through the tough times and learn something from every situation. Q. You are busy ladies! How do you juggle your personal lives with your career? A. This is something we definitely struggle with and is something we’re always working on. It’s so hard to ‘turn off’ when we’re home and find that good balance, but we’re a work in progress! If anyone has any tips on this, we’d love to hear them, haha! Q. 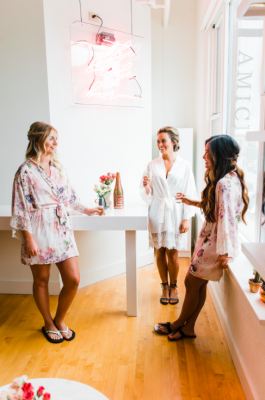 Speaking of busy… we heard you are opening up a third Blowout Bar location! Exciting! Can you tell us a bit about this? A. We are so excited about the Short North! We’ve been searching for a location in the Short North for about two years and finally found the gem we were waiting for. We love the neighborhood and we’re really looking forward to being part of the growth. It’s so inspiring to be in a community of other small, local businesses, all with the same passion for making Columbus even greater. Our concept will remain the same, but we’ll be adding in some new, cool elements. We’ll open late Spring! Q. In Fashion, we get inspired by all of the arts that surround us, whether in beauty, cinema, home design, or the fine arts. We also see that the beauty world, much like fashion, is always evolving, what inspires you? A. Travel, hands down. Every time we visit a new city, we bring something back. 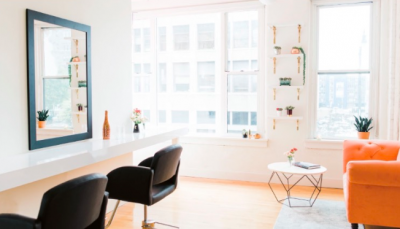 Whether it’s an inspiration photo of a window display or a simple interaction with a certain employee at a hotel or restaurant – we take it with us. It’s all about the customer experience for us, so anything we see that we like or that we can learn from becomes our inspiration. 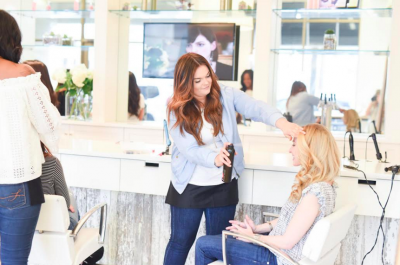 To learn more about The Blowout Bar, click here. LOVE THIS ARTICLE SO MUCH!!!! Love the BB and the gals!!! !